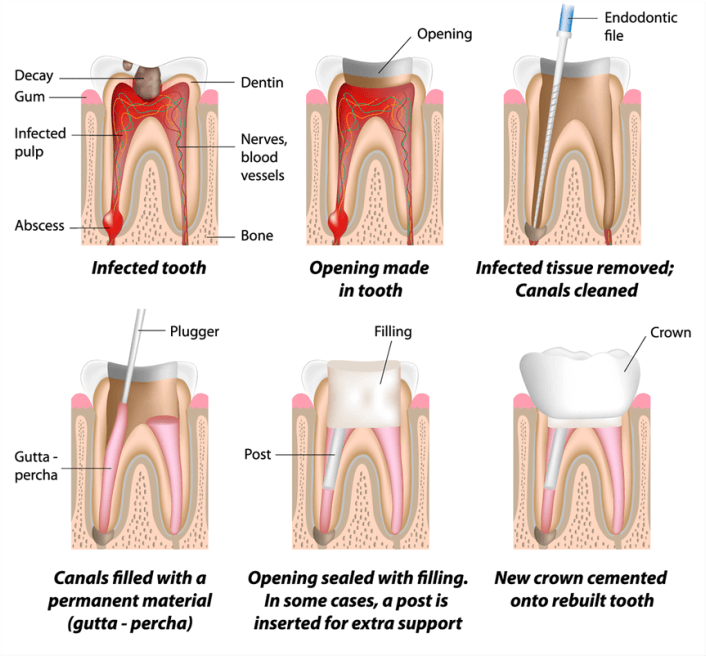 Root Canal Therapy is a common treatment to save teeth from extraction. Infected tissue is removed and the tooth is filled with an antibacterial filling. In most cases, a crown is recommended to protect the tooth after root canal therapy is complete.